Will off field problems ruin Liverpool’s Champions League hopes? It seems that every time Liverpool start to perform on the pitch, another problem arises off it to put them off their stride. The Reds have been embroiled in a takeover battle between their American owners and interested Arabs for most of the season – and the latest bout could threaten their Champions League hopes. Liverpool travel to the San Siro defending a two-goal lead against Inter Milan tonight but instead of concentrating solely on the game they’ll have to contend with the latest developments in their takeover saga. 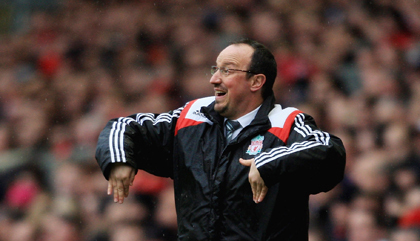 And, there have also been reports of in-fighting between Benitez and Xabi Alonso. Will these of-field problems affect their performance tonight? The club’s leading investor, Tom Hicks, has announced that he is terminating all negotiations with the Dubai-based DIC investment company. DIC were hopeful of buying out Hicks’ partner, George Gillett, with a view to eventually taking full control of the club. But, Hicks is against DIC’s intentions of managing the club as a committee and has decided to veto the sale of any portion of the club including Gillett’s shares – leaving them in the same state of uncertainty that has been blamed for their failures this season. Meanwhile, Rafa Benitez has fuelled his arguments with Spanish midfielder, Xabi Alonso, after refusing to let him join the squad in Milan after waiting for the birth of his first child. Is that fair? It’s far from ideal preparation for a game that will ultimately decide Liverpool’s future since they have no other competitions to play for – can they ignore the problems to make it into the quarter-finals of the Champions League?